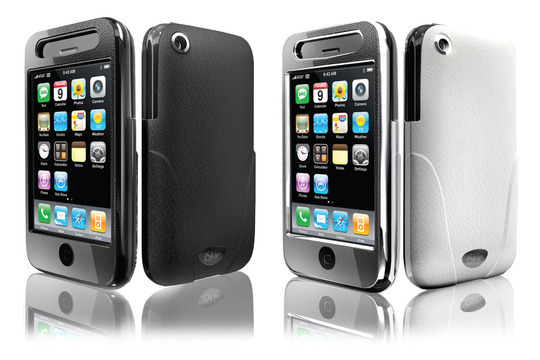 iSkin has introduced it's new Enigma premium leather cases for the iPhone 3G and 3GS. The Enigma is made from a lightweight durable polycarbonate shell that's wrapped with genuine Napa leather, which has been treated to handle everyday use. The Enigma features include microfiber inner lining, open access to all ports and buttons, a non-scratch metallic front face, metallic accents and a self-locking slip-in design. iSkin's Enigma is available in black or white with a price tag of $99.99. Shipping begins on June 8.